For today’s look, I brought back my essentials, pairs of white shorts, combine with my favorite mustard bow collar top for a beautiful spring day here. 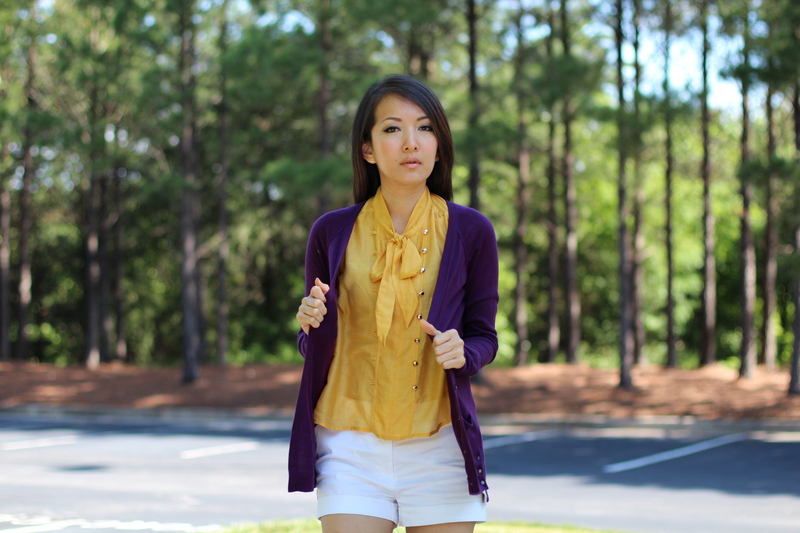 My remedy for an unpredictable weather is this cardigan I bought last season. 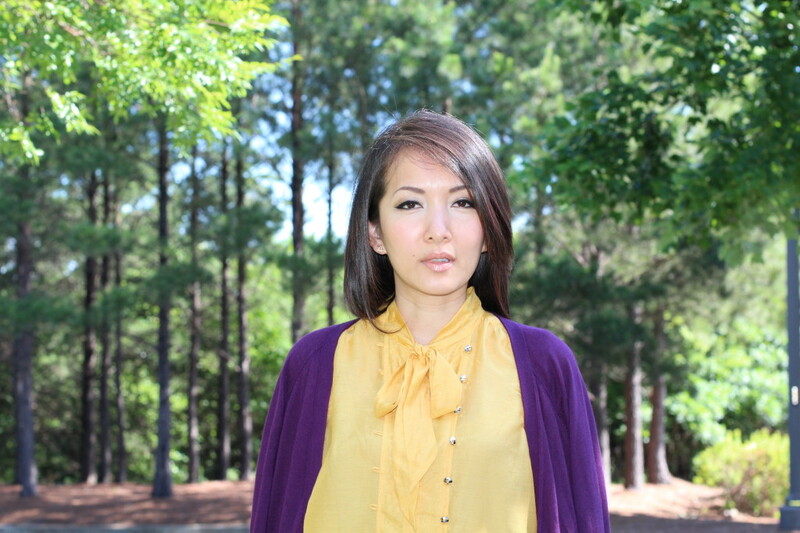 Its deep purple hue creates a great contrast with yellow, adding more color pop to this outfit, which also best to accompanied by some neutral accessories.